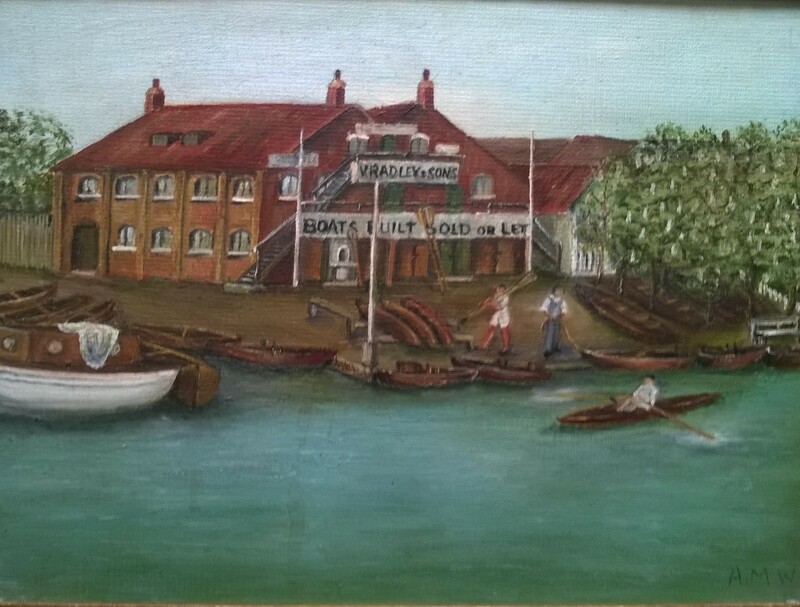 Painting by the Late Molly Wilson nee Radley of the Radley Boat House at Lea Dock, river Lea in the 1920s. The Radley boatyard business was founded in 1840 on the river Lea in East London a mile or two upriver from what is now the site of the Olympic Stadium. 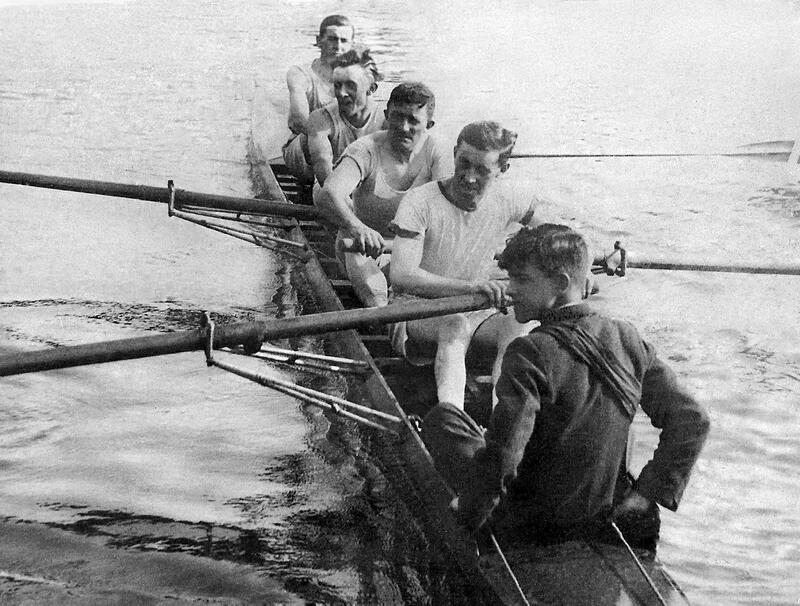 The family formed Radley rowing crews and competed in professional events as boatbuilders were excluded from amateur events such as Henley Royal Regatta until after World War 2 . After World War 2 family members have rowed in GB crews. At the moment I have written about 37000 words and the picture count is about 180. I am getting assistance from a number of people including relatives from 4 continents : USA, Asia(Hongkong), Africa(SA) and Europe(UK and Italy. My partner is reviewing/english improving and her daughter will handle publishing. I am also lucky in getting support and advice from Chris Dodd the rowing history consultant at the R&RM at Henley and rowing journalist. Richard Anderson, a member of Lea rowing clubs since 1969 is also helping. He has recently published an impressive book Springhill: Two Centuries of River Lea Rowing. There will only be little overlap between the the books as mine concentrates exclusively on the Radleys whereas his covers all aspects of rowing on the Lea. The painting will be on the front cover. The Lea Dock boat house was known as The New Boat House by the Radleys and it was their main trading site from from 1910 to the 1930s. There were 2 other sites one at Lea Bridge Dock and a third at Springhill. There was a fire at the New Boat House in 1933 which ultimately led to the site being abandoned and the family moved to Springhill where a bungalow and boat sheds were built. This is a Radley family four just after they had won a race in the late 1920s. The race was in a regatta for professionals as they were in the boat building/hire business. No Henley for them. As the owner of a Radley clinker sculler circa 1936~1950 I look forward to getting a ‘first edition’ copy of the book – with a signed dedication by the author of course! It will be a complementary copy of course. Further to post above, Iris Simpson rowed with the Stuart Ladies. PS sorry to have jumped on your thread, got to learn how to create my own!